From the moment you step into the ultra stylish and sophisticated JG Suite, you’ll be captivated by its sublime interiors. 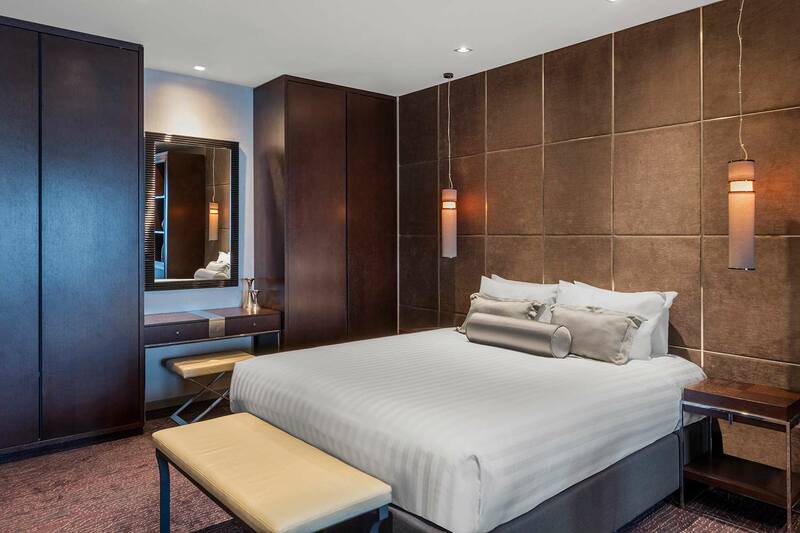 The superbly spacious and modern bedroom features the ultra premium Sealy Exquisite Collection king bed, the most luxurious bed supplied by Sealy to a hotel in Australia – exclusive to Gambaro Hotel Brisbane – and part of the Gambaro Hotel Signature Sleeps Collection. 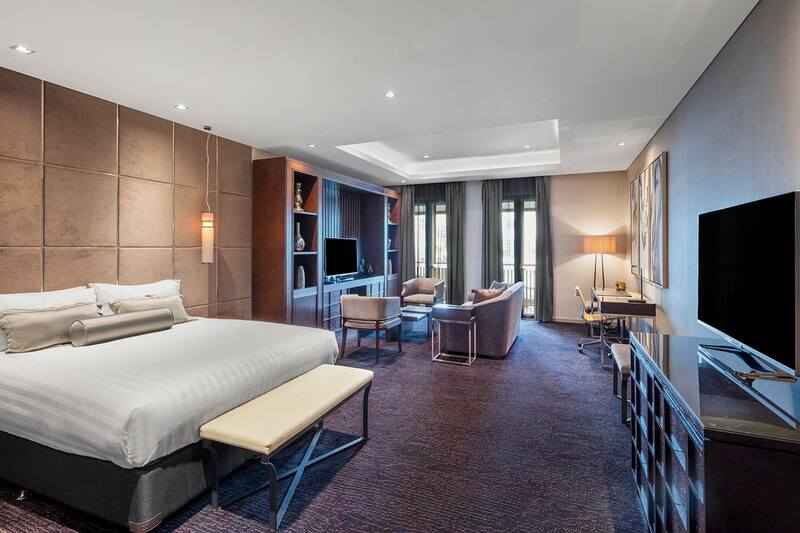 Immerse yourself in state of the art technology, including two Philips Media Suite 55″ LED TVs, and Bose Sound system. An expansive lounge room is the perfect place to entertain or be entertained, and includes a separate work-desk. 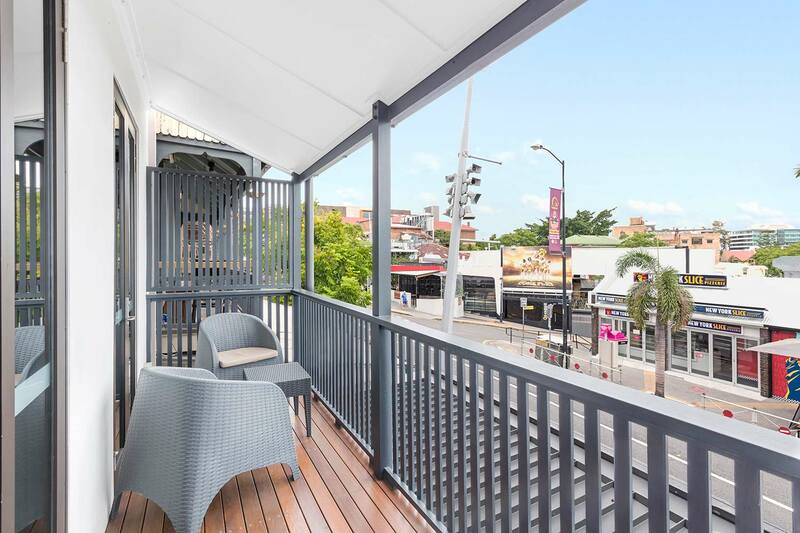 Floor to ceiling glass leads through to a private balcony, offering views of iconic Caxton St and Paddington surrounds. The open plan bathroom includes his and hers marble vanities, oversized walk through rain shower, deep soaking tub, andbathroom amenities by MOR. 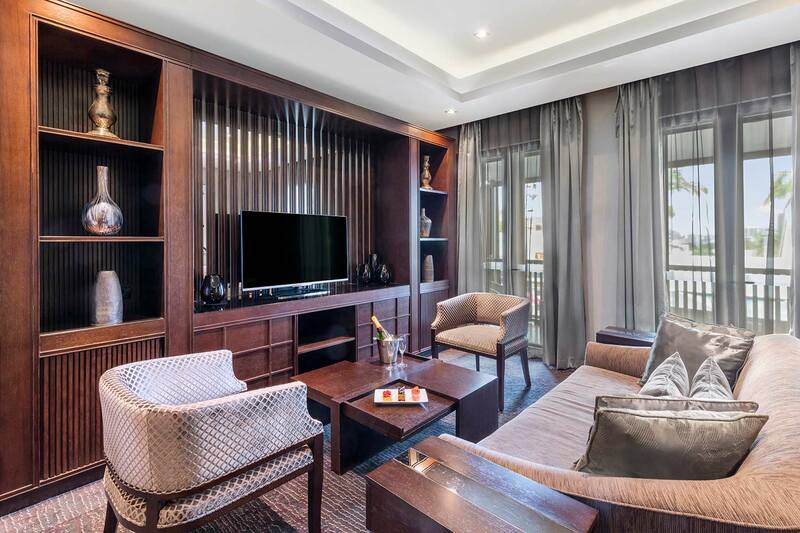 With meticulous attention to detail, and more modern luxuries you would ever expect, this suite encompasses the complete Gambaro Hotel experience. For special event stays or families, the JG Suite can be interconnected with a Paddington King Room, to create a 2-bedroom Signature Suite with exclusive private access.